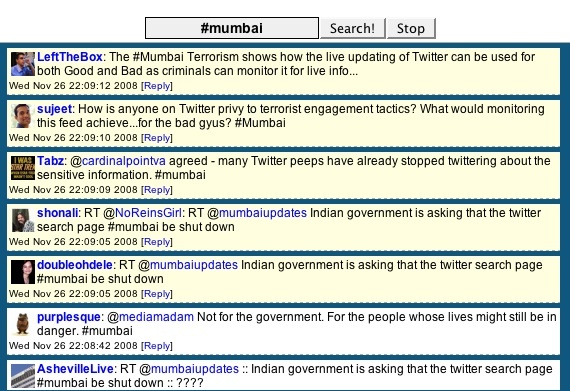 I was up very late last night tracking the terrorist attacks in India on Twitter using TweetDeck and Tweet Grid. My mind flashed back to September 11th and the parallel was immediately made by dozens of people and news agencies. My wife was upstairs watching the events unfold as Breaking News on CNN. I was in the study with two very active computer screens. The two experiences couldn’t have been further apart. One was a polished, worldwide news organization keeping to standards and practices, while trying to report it as it happens. Their viewpoints are limited to one or two, and those reporters may not have the ideal vantage point. It’s all about timing. The other experience is powered by ordinary citizens who are in the moment, positioned in precisely the right location. They aren’t being paid to report. They don’t have formal journalism training. They simply type, most on their cell phones. It’s raw, emotional and astounding. If the London bombings signaled the emergence of Social Media as a citizen news platform, last night’s event has solidified its place. 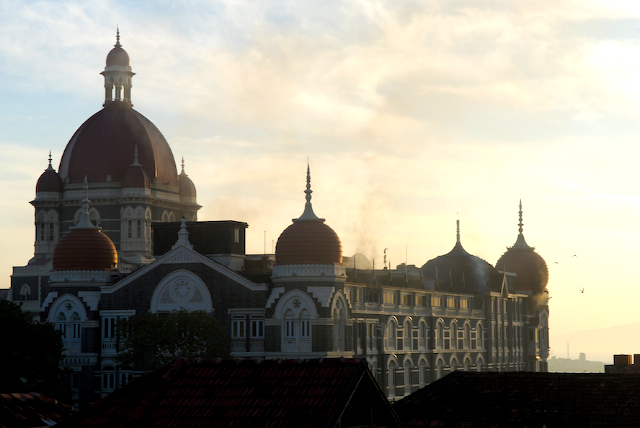 Hundreds of people on the ground in Mumbai, some inside the Taj Hotel were Tweeting their thoughts. It was mind numbing to experience. There were reports that Indian the authorities were requesting the public to stop Tweeting, as they feared the terrorists would be monitoring and get intelligence on what the police or army were planning. This has not been officially documented. You can read a great post by Amy Gahram here, who has done some sleuthing on this issue. Regardless of whether officials asked for Twitterers to stop, when the dust settles there will be a lot of study and debate over Social Media and specifically Twitter, and the role it should play in reporting news or events. I believe there will be an attempt by some to change the landscape and place limits on this medium to prevent terrorists or organized crime from leveraging it to forward their political agendas or commit crimes. It’s a debate we should welcome, as it could have serious consequences. Last night the Tweets were coming in so fast the updates were like flashes, staying on the screen for mere seconds before being pushed down by another, then another, then another. Is this a convergence of society, media and technology? I think it’s probably more like a collision.